When infants are developing to young children, they are in a continuous learning process developing life skills called milestones. The skills are naturally learnt in a set of patterns. For example, babies do not just start walking one day. They first learn how to crawl, stand, and eventually start walking. Parents must be observant incase a child is not developing accordingly, and they will be in a position to address the predicament. However, each child is distinct and based on the skill range one can determine if the development is normal. The study will address various issues that directly affect child development like nutrition, Physical activities, Rest and sleep. Also use of campaigns aimed at promoting healthy living in children. A child’s nutrition is one of the fundamental determinants of development. Nutrition can hamper a child’s behavioral and cognitive development, reproductive health, and ability to be educated. During the intrauterine age and from birth to two years, growth might fail to make the child vulnerable to anemia, stunted growth, and exophthalmia (Martorell, 1996). A child’s nourishment directly affects the ability to learn, converse, think logically, their general health, adaptation to the immediate environment, and socialization (Martorell, 1996). Good nutrition also acts as a defensive mechanism against childhood diseases. In cognitive development, when a child does not get sufficient food the body uses the available food for survival at the expense of growth. In such a situation, the body does not adapt to learning, it prioritizes survival. Psychological crippling informs of retarded brain growth and below average birth weight is experienced by malnourished children. Some conditions result from partial and irregular contact and stimulation necessary for a good development. Good nutrition and good health are directly associated in a human being’s life but most importantly during infancy or early childhood. More than half of child mortality in developing countries is directly linked to malnutrition. Physical activities affect the child’s cognitive skills. The cognitive skills are reasoning or problem solving skills where young children learn by exploring objects (Shephard, 1984). Extraneous physical activities affect how one matures especially if it is caused by energy imbalance or emotional stress. However, this does not determine the body size. A proper exercise program will improve a child’s psychomotor, physical, and intellectual realization. It is essential to have internal motivation and the right attitude. Vigorous exercise has a positive effect on many chronic diseases, but cannot put a stop to acute diseases. Thus physical exercises for a child should be controlled to avoid being overdone. If overdone, it can lead to cardiac deaths, psychological stress, and physical injury. Exercise if done the right way will enhance a child’s development. It is also essential to ensure a child gets sufficient rest and sleep. Not only in young children, rest and sleep is necessary for every human being. Infants and young children have a lot of brain activity while sleeping. Most of the time when children are sleeping, they dream and this stimulates the brain thus assisting in healthy child development (Shephard, 1984). In the first six months, sleep patterns in a child are formed and applied for the rest of their lives and if not well formed, they will affect the child in adulthood. Lack of sufficient sleep has also been associated with obesity in both children and adults. Enough rest and adequate sleep reduce the chances of depression and anxiety. Various groups and organizations have tried to come up with health campaigns aimed at addressing health promotion and disease prevention in children. Let’s Move is a campaign in the United States that was initiated by the first Lady Michelle Obama to address childhood obesity which is becoming a serious concern in the U.S. It is a community oriented initiative that focuses on combating the pandemic of childhood obesity and encourage the culture of a health living (Lindsay, 2010). It focuses on programs tailored to promote healthy diets and children activities like sports. Healthy eating should be promoted by families, communities, and schools to ensure its success. Consumers should also be empowered with information. The government should ensure labeling of all foodstuffs is done with accurate nutritional content. 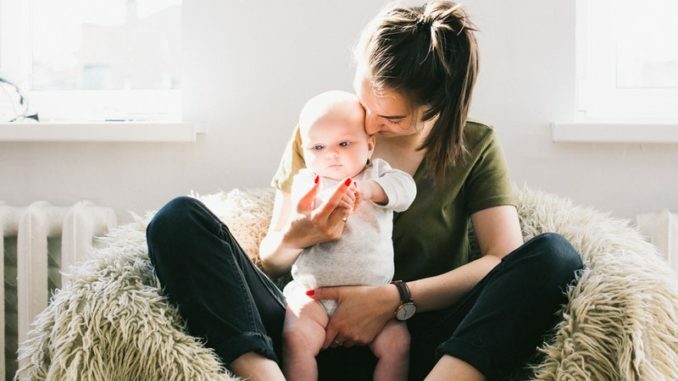 The initiative also encourages expectant mothers to eat healthy and designs a “My pyramid Plans for moms” used to formulate a set of guidelines for children and the entire family (Lindsay, 2010). The initiative in collaboration with CDC (Centers for Disease Control and Prevention) advocate for everyday physical activities like muscle strengthening activities, bone strengthening activities, and simple aerobics. Let’s Move provides guidelines for schools to implement in their physical education programs. These campaigns are steps in the right direction since they create awareness and offer programs designed to promote healthy living. The government is already doing all it can but the rest has to be achieved by individuals. It is individuals who get to make the final decision on how to achieve healthy living. Numerous campaigns without self motivation are bound to fail. Martorell, R. (1996). Undernutrition During Pregnancy and Early Childhood and its Consequences for Behavioral Development. Early Child Development , 12-16. Shephard, R. (1984). Physical activity and child health. physical activity in child development , 15-23.